A plan to build a two-storey house in Storrington has been delegated to the head of development after six councillors abstained from voting. The plan related to land south of the existing Longbury Hill House, in Veras Walk. The property would sit within a plot of land measuring approximately 0.15 hectares and contain four bedrooms on the first floor with an area of parking provided to the north. At a meeting on Tuesday (May 15), Patrick Heeley of Washington Parish Council urged councillors to reject the application on grounds it was ‘contrary to countryside policies’. 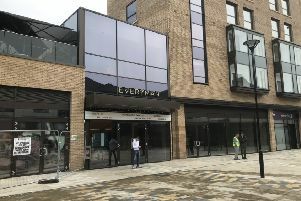 However, nine members of Horsham District Council’s planning committee (south) voted in favour of delegating the application to the head of development and local members. One member voted against, while six members abstained.